Balloon Hats sounds a great idea. Doesn’t it!!! Well, how do you make it? Do you have any idea? If no, don’t worry we are here to guide you with different variants of balloon hats that are quite easy to make. Here we go. This is a type of helmet-style hat that is basically the modification of Jester Balloon hat. 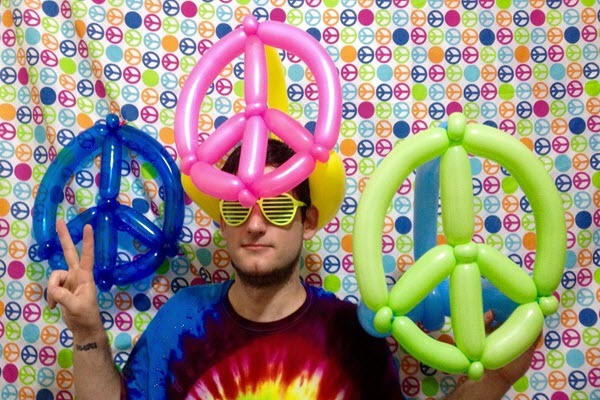 You can select different colored balloons and make crazy balloon hat to enhance your party mood. If you are organizing a birthday party or your anniversary party, you can ask balloon decorators to prepare balloon hats for your guests. Use different colors of balloons and surprise your guests this party. Yes, you read it right. You can collect different colors of balloons and arrange them in the shape of a flower. Then add a solid base to flower-shaped balloon. This style of balloon hat is mostly suited for girls party because it is generally seen that girl a are more fond of flowers than boys. Feel like a king or a queen with the balloon crown hat. This is quite a different style of using balloons to create a unique hat. This balloon crown hat suits people of all ages. Whether you are a kid or an adult, this hat would make you feel special on your special day. This hat is special because you feel like a king or the queen of the day. Crown is basically meant for kings and queens. If you want to organize a party and feel like a king or a queen, then balloon crown-styled hat is a perfect option for you. Feel on the top of this world by designing a crown hat that is simply mesmerizing. Different versions of balloons hat can be seen here. Twisted crazy balloon hat is one version that is unique and gives your guests an awesome surprise. This helmet-style balloon hat has twisted balloons on the top. You can use different colors of balloons to make this version of crazy balloon hat. If you are planning birthday party of your kid, you can ask balloon decorators to create stunning designs using different colors of balloons for your guests. This is a fancier form of balloon hat that looks like a basic helmet-style hat. This balloon hat is quite difficult to make but makes you really feel on the top of the world. Inflating balloons is quite easy but it comes to tightening, the style becomes a bit difficult one. You can use this form of a hat in your party and distribute Jester balloon hat amongst your guests to add glamor to the party. Just imagine your guests wearing this hat and moving around your party area in elegance. Above are some of the varieties of balloon hats that can be made easily without any hassle. Hopefully, you liked these variations and consider them while making something different out of balloons.